You think you have the right stuff? Rafa will be No. 1 again — or crash out the Top 10 when both kneecaps explode? Roger returns to No. 1? Or drops out of the Top 10 altogether? Boris Becker turns Novak into a serve-and-volleyer on clay to take No. 1 in 2014? Better chance of that, or another Becker illegitimate kid surfacing? But that’s another contest. Tell us your order the Top 10 will finish in next year and win a fabulous Tennis-X prize package. No one picked the entire Top 10 in 2013 (thanks Stan Wawrinka! ), but you can be the one this year to be touted in the winner’s story while basking in the glow of your superior tennis knowledge, or plain dumb luck. 3. That Swiss guy — you know, the one with hair…what’s his name? Except use real names, their full names. Seriously, if we can’t figure out who the hell you’re talking about, we’ll throw out your entry. Post your Top 10 IN THE COMMENTS SECTION BELOW before the first ball is hit in the 2014 season, and you’re in! No entry fee required! Good luck and happy holidays! 83 Comments for 2014 Tennis-X Year-end Top 10 Contest — Enter Now! I don’t know where that came from…..I didn’t do that. Maybe the three yr old that was at my house tonight……but I do apologize. Sorry the thread got clouded with nonsense…..but that’s nothing new!! Talented as he is i think Gasquet will fall out of the top 10 next year,sorry Richie,and be replaced i believe by Nishikori,i think JJ and Raoninc will just miss out but will finish in the top 15. Won’t say this is the most likely, but crazy stuff is always looming (injuries/doping scandals/blue clay/aliens). LMFAO- I think Roger That completely shot himself in the foot with that past! 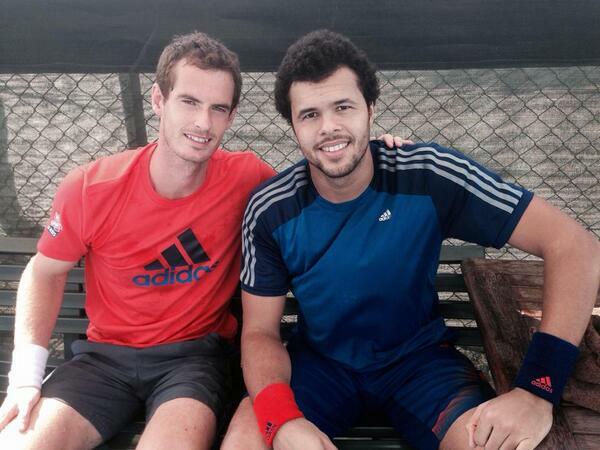 I think Muzza will miss out on no.1 pretty close….he will have a great year. Nole will be solid too….I think he will complete his career slam in 2014. Nadal, I feel will hav a grt clay season as usual….but defending a mountain load of points post that is looking very very tough. He vl b a force in AO & Wimby….but I think he vl miss out the FO dis time. Roger probably will benefit from his lacklustre season in 2013 by not defending much points. He vl gradually raise his game n confidence. I believe, he can win a slam in 2014. Does anyone know if my good Arrogant friend is back to his bigger racquet to match his ego? I sent him a text message and got an auto reply “goat unavailable”. Wishing all the Staff at TENNIS X a Merry Christmas and a great 2014. Seasons Greetings to all the Tennis X posters,also a heads up to abscent friends Jane,Wogboy,Harry,Duro,Ajet,Swiss Maestro,Contador,Grendel who were amongst the best posters on this forum,i would hope that they all have a change of heart come the new year and start posting again. Niners are in. Magic happened one last time at the Stick. Best memories ever! Merry Christmas and Happy Holidays to everyone at Tennis X.
Skeezer i only watch the game,i wouldnt have the time or the energy to go out and play tennis,im knackered when i walk to the supermarket and back,anyway all the best to youself and your family for christmas and the new year. Merry Christmas to TX staff and all posters. Last year I got burned by adding new names, so this year I’m going more conventional. Seems the majority are going with Novak ending next year at the top of the rankings,i see the reasoning as i suppose it will be dificult for Rafa to back up what he did this year,he will have a mountain of points to defend after March next year,still if he were to win a GS or two i doubt even he or his fans would really care TBH. Courbon dont forget to fill out your top 10 for next years contest. Defending points is irrelevant to year end no. 1 as it depends not on performance of previous year but entirely on points won in the current year. However, the 52 week rolling ranking is influenced by defense of points. As the contest is asking for year end rankings, you will agree defending zero points or mountain of points are equally irrelevant to predicting the year end no. 1 for 2014. I do believe predicting Novak as year end no. 1 is based more on wishful thinking than on objective analysis. Djokovic himself has had his confidence shaken otherwise he wouldn’t be hiring Becker hoping to get that elusive something which enabled Becker to win 5 setters. Many seem to think Djokovic’s astounding performance post USO means he has rediscovered how to beat Rafa. But Rafa is never at his best in the fall season and further his knee problems which had him crashing out in the early rounds of Wimbledon 2 years in succession perhaps also accounted for his losses as the indoor hard court is low bouncing. Even Novak despite his gumby body was burnt out after USO in 2011 and Rafa’s fall in performance is therefore not surprising. It was only because Rafa saw the chance to be no. 1 after USO that he was motivated in the fall.Compared to the usual post USO Rafa performance,his fall performance was pretty good. perhaps also accounted for his losses as the indoor hard court is low bouncing. It was two indoor and two outdoor tournaments with four different surfaces (different speed and bounce). Photos have surfaced showing Andy, Jo-Willy and Nole practicing. Just one day remaining until we get to see some tennis! Bad knee, it was still post USO when Rafa is not at his best. I did not say anywhere that fall season is indoor hard court. Very Happy New Year wishes to all on TX with whom I’ve exchanged pleasantries in 2013 and special New Year hugs to Andy Murray fans. Hoping our man has a gr8 2014. Lol folks, remember it’s “staff” who write the “Trunk and Funk” …..ahem, stuff. Wishing Michael Schumacher a speedy recovery. Millions praying for you. 10 Ryan Harrison- faith in America!!!!!! !